Hello and welcome to The Independent's live coverage of the biggest day in racing, the 2016 Grand National. You still have more than enough time, on account of this year's late start. We'll have updates from the main race of the day at Aintree from 5.00pm, with proceedings set to get under way at 5.15pm. 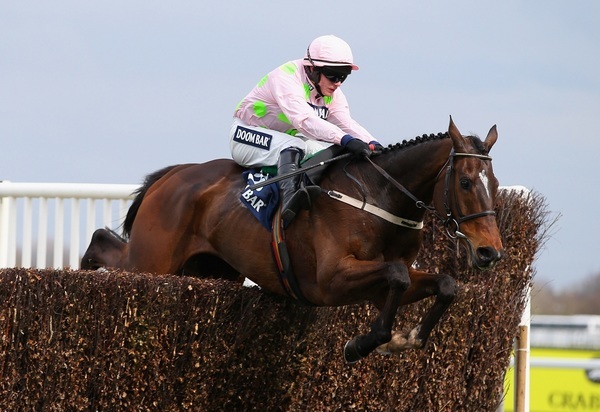 We'll also be updating you with results from the rest of the meeting's races, as well as all the tips and previews you need before you put your money down. Our first race of the day sees a large field with a number of evenly-matched runners. 19 ran, non-runners: 9, 19, 20. There could well be a few punters going delirious after 50-1 shot Maggio takes the Betfred Handicap Chase, with the 13-2 favourite Mystifiable failing to place. However, their celebrations will go on hold for now, as the Grand National is up next! 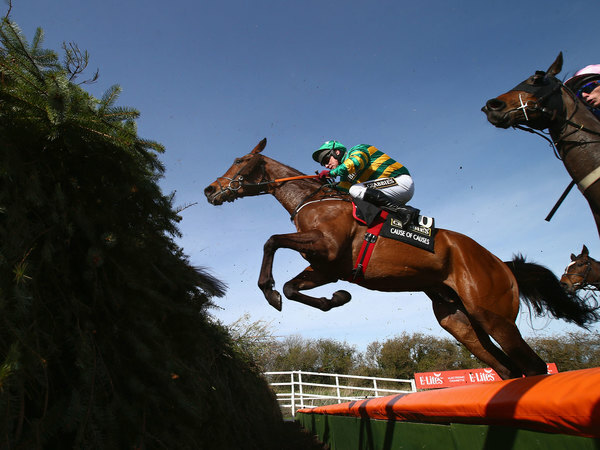 So 39 horses will go off in the National, with O'Faolains Boy the only non-runner at present. Many Clouds remains the bookmakers' favourite to emulate Red Rum and win back-to-back Nationals, but Shutthefrontdoor is near by - though both have drifted from 8/1 to 10.1 and 12/1 respectively. 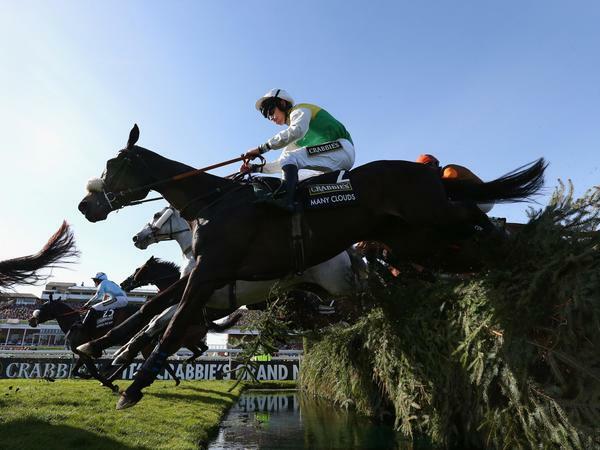 One horse on the move in the market is The Last Samuri, who joins Many Clouds on 10/1. Brian Hughes will miss the ride aboard The Romford Pele in the Crabbie's Grand National after being stood down for the rest of the day following a fall in the opening race at Aintree. 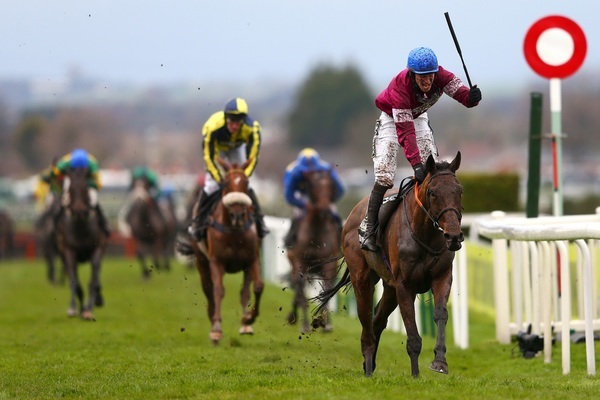 Hughes, who was set to partner the Rebecca Curtis-trained The Romford Pele in the world's great steeplechase, parted company at the first from the long-absent Urban Hymn in the Gaskells Waste Management Handicap Hurdle. 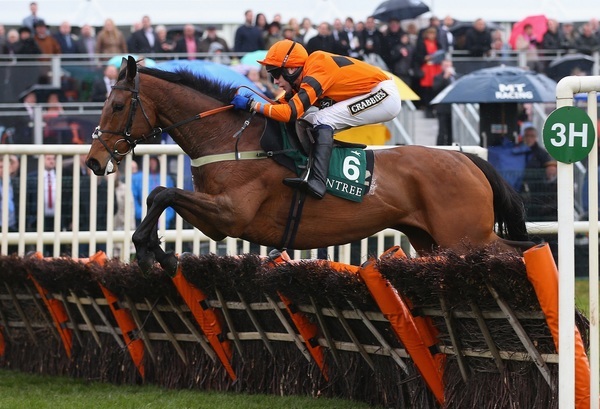 Hughes had initially been due to ride O'Faolains Boy for Curtis in the National before the nine-year-old was declared a non-runner this morning when found to be lame. He switched to The Romford Pele, replacing Trevor Whelan. It was subsequently confirmed that Whelan, a rising star of the weighing room, would return to get his chance on The Romford Pele. 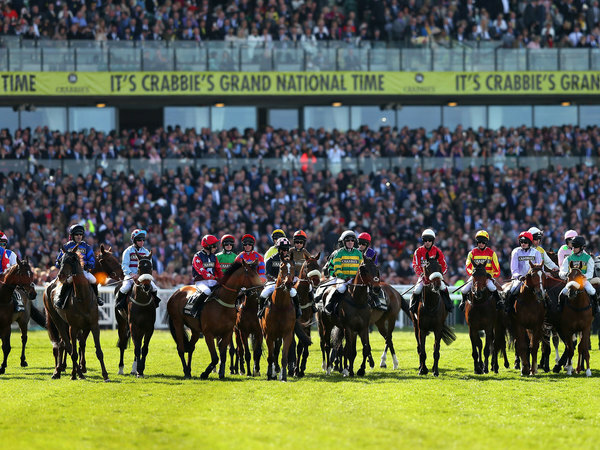 Confirmed: All horses are safe and well after the Grand National and have returned to the paddock.